Ryder the dog might not be an expert in photography, but she's clearly got a keen sense for capturing love. 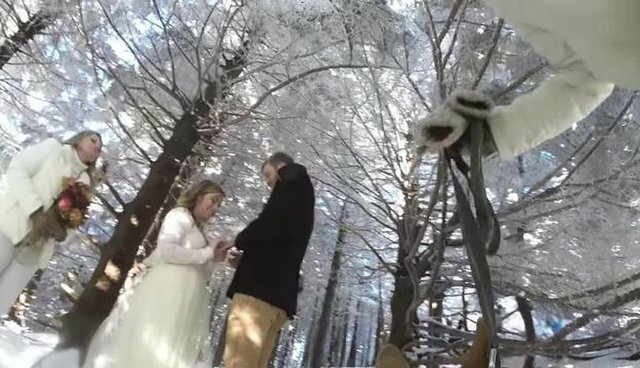 When Josh Burnette and his then bride-to-be, Addie, got married last winter, they had a genius idea for preserving that special day forever on film by enlisting the help of that cherished pet. By mounting a GoPro camera onto their dog's back, the happy couple was able to record all the joy and excitement of their wedding from the unique perspective of their furriest family member. The results couldn't be more magical.